현재 불상의 머리는 후대에 새롭게 붙여 놓은 것으로 발견 당시에는 몸통과 대좌만 있었다. 불상이 앉아 있는 대좌(臺座) 역시 원래 불상과 같이 있던 것인지는 확실하지 않다. 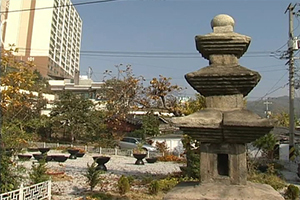 비록 원래의 모습이 많이 없어지고 보존 상태도 그리 좋지 못하나 세부의 조각 수법이 우수하고 안정된 자세를 취하고 있다. 양 어깨에 걸쳐 입고 있는 옷은 소매 하나까지 매우 사실적으로 표현하였고, 짤막하게 이어진 옷주름 역시 활달한 모습이다. 오른손을 무릎 위에 올리고 손끝이 땅을 향하도록 하고 있는데, 이것은 악귀를 물리친다는 의미의 항마촉지인(降魔觸地印)이다. 비록 불상의 신체만 남아 있지만 균형 잡힌 자세나 둥글게 처리된 어깨, 부드럽게 흘러내린 옷주름 등 힘있고 사실적인 모습을 통해 이 작품이 통일신라 후기의 것임을 알 수 있다. 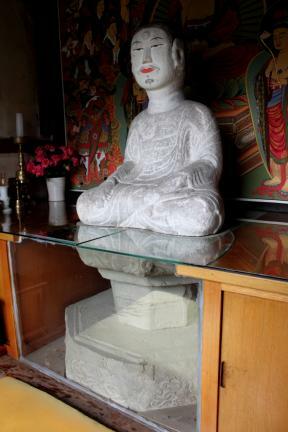 Upon its discovery, this stone seated Buddha statue only consisted of the body and pedestal; a new head was attached to it at a later date. 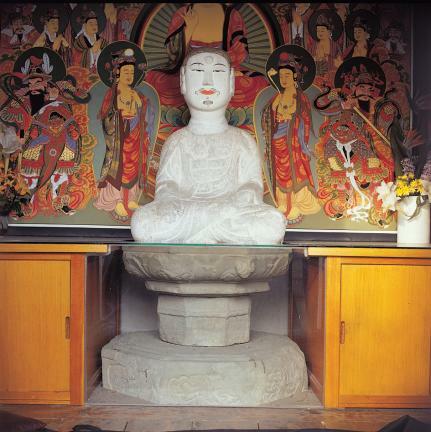 It is uncertain whether the pedestal on which the Buddha is sitting is the original. 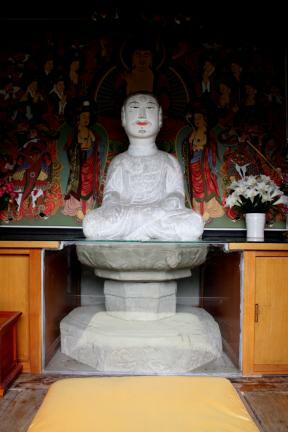 Despite its poor condition and the various changes it has undergone, this stone seated Buddha displays a balanced posture and excellent sculptural technique. 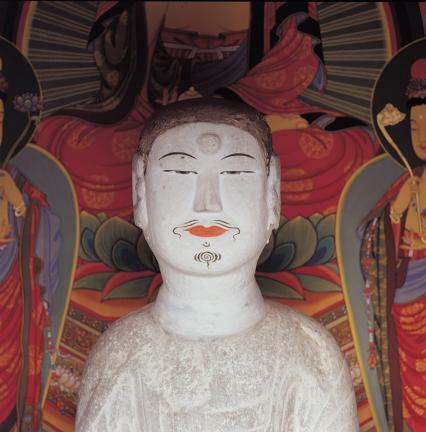 The beobui (sacerdotal robe) draped across the Buddha’s shoulders is realistically carved, even to the sleeves, and the short folds in the clothing create an impression of energy. The right hand rests on top of the knee, the fingers spread downwards in a gesture representing the expulsion of evil. 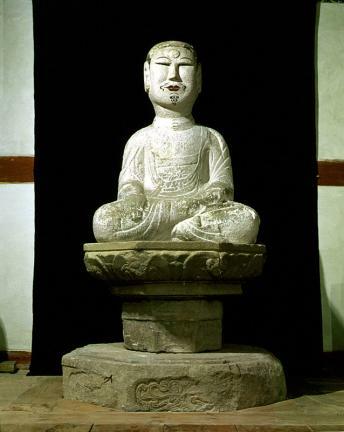 Although only the body remains, the statue obviously dates from the late Silla Period, judging from the balanced posture, rounded shoulders, smooth folds in the clothing, and powerfully realistic sculpting technique.